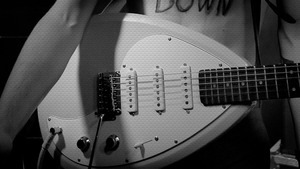 KitMonsters – Vox MK III Teardrop. The music makers’ guide to making music. The Vox Teardrop was launched in the 60s and has been hugely sought after ever since. 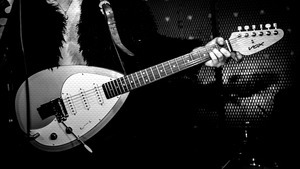 Well-known Teardrop players include Brian Jones who had a guitar made specially for him, David Bowie who played a Teardrop MK VI and a twelve-string MK XII, Siouxsie Sioux, The Cure’s Robert Smith, and Kasabian’s Sergio Pizzorno. The MK III is a reissue that features three single coil pickups, a tremolo arm, plus a five way pickup selector, volume and tone controls. It has a basswood body, rosewood finger board and hard maple neck.